Sciton's Halo Laser is the world's first hybrid fractional laser, combining two lasers in one to take years of damage off of the face, and reveal your inner glow! The most scientifically advanced treatment for sun damage, pigment, fine lines, texture, and pores, without the downtime of traditional ablative and fractional lasers. Halo delivers the best of both worlds for our patients. Ablative results with non-ablative downtime! Dr Moosavi is the only one to offer this advanced technology in the Tri-State area! Sciton's BBL (Broad Band Light) is the world's most powerful facial laser on the market. 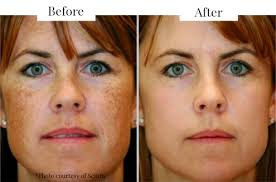 BBL harnesses the power of pulsed light technology to allow a wide array of skin conditions such as fine lines, wrinkles, sun damage, small broken veins, and acne to be treated with minimal discomfort and downtime. the heat absorbed by the targeted areas stimulate your skin cells to generate new collagen. This will help restore your skin to its natural beauty, blending its natural colors and making it smoother, vibrant and younger looking. Rejuvenating Facial: This restorative facial can be tailored to your specific needs to leave your skin smooth, purified, bright and hydrated. $75 | 60 minutes. Skin Nectar is a proprietary formulation is designed to support the skin, before, during and after cosmetic procedures. This product works with the skin's natural regeneration process and assists in improving the skin's appearance. It can be applied immediately post-procedure for faster recovery and healthier looking skin. *Enhances healthy skin by helping to clear damage and debris in the extracellular matrix. *Helps support the skin’s natural ability to produce new, healthy elastin and collagen. 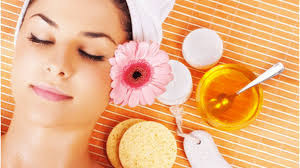 *High antioxidant activity is designed to calm the skin and reduce the appearance of redness. Gentle Cleanser is a self-foaming cleanser that removes impurities without drying or irritating the skin. A unique blend of moisturizers and vitamins designed to clean, soothe and soften the skin without upsetting skin's delicate moisture balance. *Thoroughly removes environmental pollutants and make-up. *Excellent for use post-procedure or on sensitive skin. *Softens and calms the skin. Right now, come in for our $100 pre-wedding evaluation package for the bride and mother of the bride! This package includes evaluation, recommendations, and discounts on services the bride and mother book together. Laser Hair Removal for Bikini and Underarms- for one less worry before the big day!